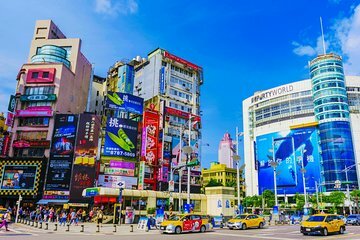 Explore Taipei from a local’s perspective, and customize the itinerary to suit your interests, on this private tour of the Taiwanese capital. Upon booking, connect with your guide and discuss different options and sights that you’re interested in: from neighborhood tours to an overview of the city’s major highlights, craft your very own sightseeing plan. Pickup is included for centrally located venues, and you can choose a departure time that works best for you.